While talk has apparently quieted over the possibility of a super fight between boxing master Floyd Mayweather Junior and MMA star Conor McGregor, another high profile boxer has thrown his hat into the ring and said he would take a fight with McGregor: Amir Khan. Speaking with Flocombat.com, the former 140-pound world champion said that he has serious doubts Mayweather – the man he chased for months whilst in search of a massive fight, all to no avail – would ever agree to fight McGregor in an MMA fight, but he himself would do so. You have to admire Khan – a fighter who always goes for the biggest challenges; see his last ring appearance, against the much bigger Canelo Alvarez – but it’s certain the critics will jump all over the Bolton man on this one. In the past, we have seen other big name boxers try their hand at MMA; with decidedly mixed results. Would Khan really be able to make the seamless transition to MMA the way it sounds like he thinks he would? Wouldn’t it take months and months of training, so as to learn all the ground rules involved in MMA? 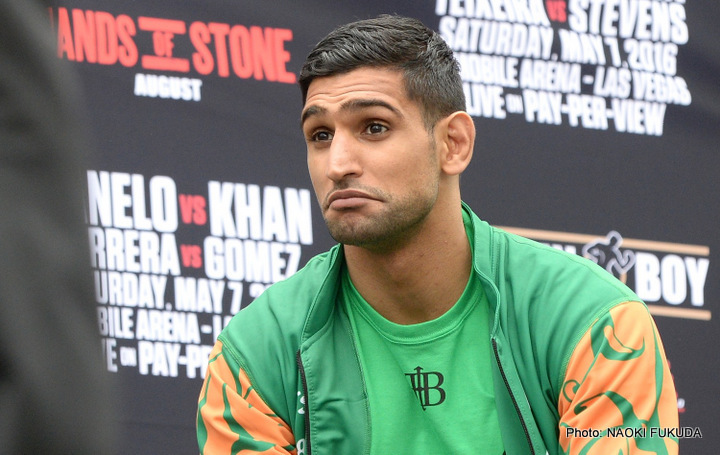 If the fight did take place, would Khan be setting himself up for another high profile stoppage defeat? The critics will almost certainly say so. But would McGregor who, like Khan is coming off a loss, even want to face Khan? What would there be to gain for McGregor – apart from, maybe, some decent money and publicity. Khan has unfinished business in his own sport – a rematch with WBC welterweight champ Danny Garcia, of whom he is the number-one contender being a far more realistic possibility – before he can think about switching over to MMA.